Whatfettle ⁓ What’s an Emergency? 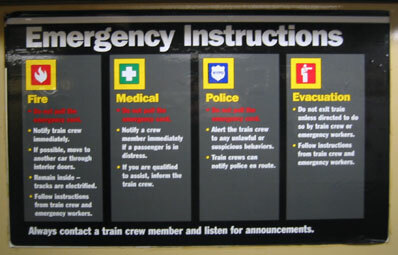 Gudge spotted this notice on the Subway last night “Fire? do not pull the emergency cord! Medical? do not pull the emergency code! Police? do not pull the emergency cord!”. So when can you pull the emergency cord?”. Arthur Dent reached out and pressed an invitingly large red button on a nearby panel. The panel lit up with the words Please do not press this button again” ..
A Whatfettle article by Paul Downey published Wednesday, October 27th, 2004, at 6:10 pm under a Creative Commons License.